Waste management is a challenging issue for the Sultanate of Oman due to high waste generation rates and scarcity of disposal sites. With population of almost 3 million inhabitants, the country produced about 1.6 million tons of solid waste in 2010. The per capita waste generation is more than 1.5 kg per day, among the highest worldwide. Solid waste in Oman is characterized by very high percentage of recyclables, primarily paper (26%), plastics (12%), metals (11%) and glass (5%). However the country is yet to realize the recycling potential of its municipal waste stream. Most of the solid waste is sent to authorized and unauthorized dumpsites for disposal which is creating environment and health issues. There are several dumpsites which are located in the midst of residential areas or close to catchment areas of private and public drinking water bodies. Solid waste management scenario in marked by lack of collection and disposal facilities. Solid waste, industrial waste, e-wastes etc are deposited in very large number of landfills scattered across the country. 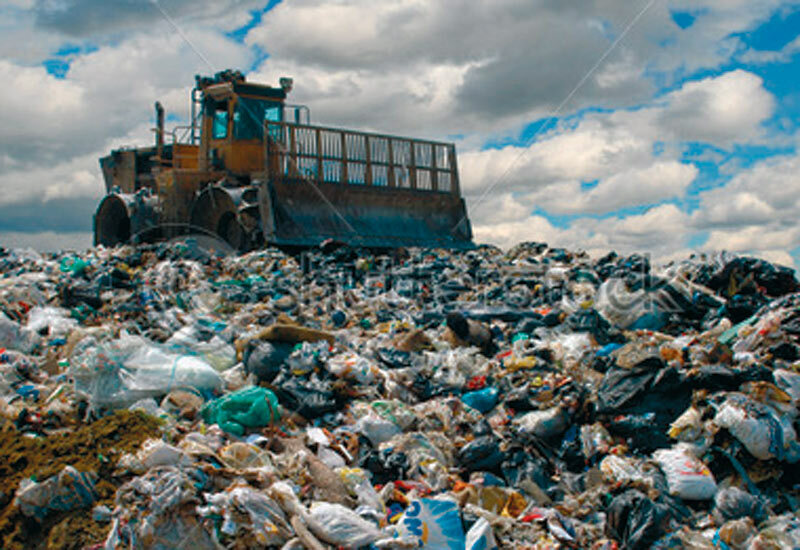 Oman has around 350 landfills/dumpsites which are managed by municipalities. In addition, there are numerous unauthorized dumpsites in Oman where all sorts of wastes are recklessly dumped. Al Amerat landfill is the first engineered sanitary landfill in Oman which began its operations in early 2011. The landfill site, spread over an area of 9.6 hectares, consists of 5 cells with a total capacity of 10 million m3 of solid waste and spread over an area of over 9.6 hectares. Each cell has 16 shafts to take care of leachate (contaminated wastewater). All the shafts are interconnected, and will help in moving leachate to the leachate pump. The project is part of the government’s initiatives to tackle solid waste in a scientific and environment-friendly manner. Being the first of its kind, Al Amerat sanitary landfill is expected to be an example for the future solid waste management projects in the country. Solid waste management is among the top priorities of Oman government which has chalked out a robust strategy to resolve waste management problem in the Sultanate. The country is striving to establish engineered landfills, waste transfer stations, recycling projects and waste-to-energy facilities in different parts of the country. Modern solid waste management facilities are under planning in several wilayat, especially Muscat and Salalah. The new landfills will eventually pave the way for closure of authorized and unauthorized garbage dumps around the country. However investments totaling Omani Rial 2.5 billion are required to put this waste management strategy into place. The state-owned Oman Environment Services Holding Company (OESHCO), which is responsible for waste management projects in Oman, has recently started the tendering process for eight important projects. OESHCO has invited tenders from specialised companies for an engineered landfill and material recovery facility in Barka, apart from advisory services for 29 transfer stations and a couple of tenders for waste management services in the upcoming Special Economic Zone (SEZ) in Duqm, among others. Among the top priorities is that development of Barka engineered landfill as the existing Barka waste disposal site, which serve entire wilayat and other neighbouring wilayats in south Batinah governorate, is plagued by environmental and public health issues. Tagged Al Amerat landfill, Dumpsites, garbage, GCC, Landfills, Middle East, MSW, Municipal Solid Wastes in Oman, Muscat, Oman, Recycling, Solid Waste Management, solid wastes, SWM, Trash, Waste Disposal in Oman, Waste Management, Waste Management in Oman, Wastes. Bookmark the permalink.